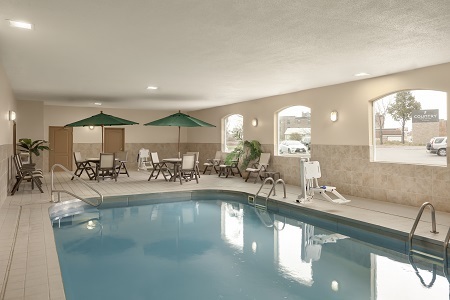 Wake up to beautiful views of the Big Sioux River at the Country Inn & Suites® by Radisson, Sioux Falls, SD. 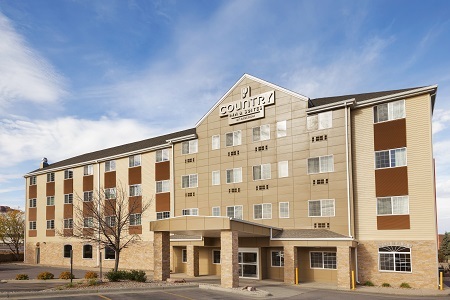 Conveniently located between I-29 and I-229 and just two miles from Sioux Falls Regional Airport (FSD), our hotel boasts a prime location for those staying in Sioux Falls on business as well as families looking to take advantage of the scenic walking trails and parks nearby. 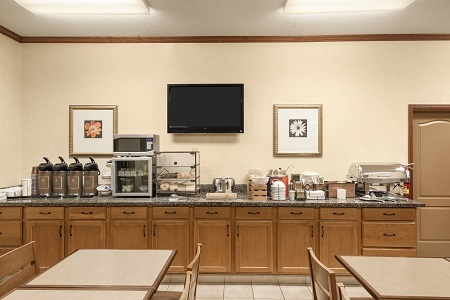 Join us each morning for our complimentary, hot breakfast, with everything from cereals and muffins to eggs and bacon. If you’re in a hurry to get out the door, our convenient grab-and-go option allows you to pick up something quick on your way out. For lunch or dinner, enjoy romantic riverfront dining on the deck of our on-site Falls Landing Restaurant. Overlook the water as you savor specialty burgers, sandwiches, wraps and pizzas. 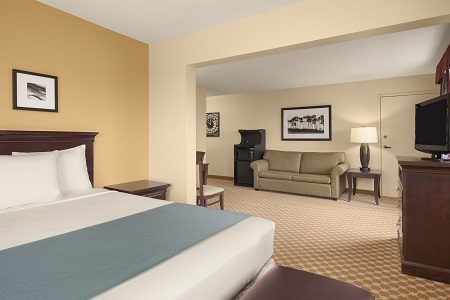 Denny Sanford Premier Center – If you’re in town for a concert, convention or sporting event, our hotel is located just two miles from this multipurpose facility. Attached to the existing Sioux Falls Convention Center and Arena, the Denny Sanford Premier Center is the largest venue between Minneapolis and Denver. Great Plains Zoo & Delbridge Museum of Natural History – Embrace the wild side of Sioux Falls at the family-friendly zoo and museum located just three miles from our hotel. In addition to viewing the animal exhibits, your kids can ride a camel, feed koi fish, board the Savannah Express train, and mine for gems and fossils. Washington Pavilion – Take a stroll across the Big Sioux River to walk the half a mile to the Washington Pavilion. Enjoy musical performances, interactive science exhibits and movies in the CineDome theater with a four-story screen. For a convenient meeting space near the FSD airport with lovely river views, reserve our conference room for up to 40 guests. The professional staff at our Country Inn & Suites will be happy to assist with details like audiovisual equipment and catering. Parking directly in front of the hotel may be limited on event dates. The hotel has additional parking in the adjacent lot. 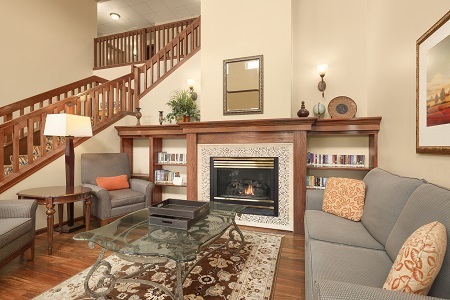 Please contact the hotel at +1 (605) 373-0153 if you will need bus, RV or trailer parking.